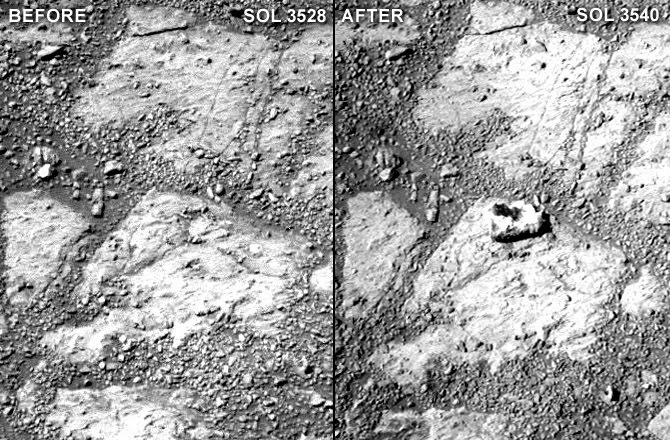 Now in another interesting development, according to media reports a mysterious rock which appeared in front of the Opportunity rover is "like nothing we've ever seen before", according to Mars exploration scientists at Nasa. Astronomers noticed that the new rock had "appeared" without any explanation on an outcrop which had been empty just days earlier. The rover has been stuck photographing the same region of Mars for more than a month due to bad weather, with scientists at the Jet Propulsion Laboratory (JPL) in California monitoring the images it sends. He said the images, from 12 Martian days apart, were from no more than a couple of weeks ago. "We saw this rock just sitting here. It looks white around the edge in the middle and there's a low spot in the centre that's dark red - it looks like a jelly doughnut. Story got even stranger when Opportunity investigated further. 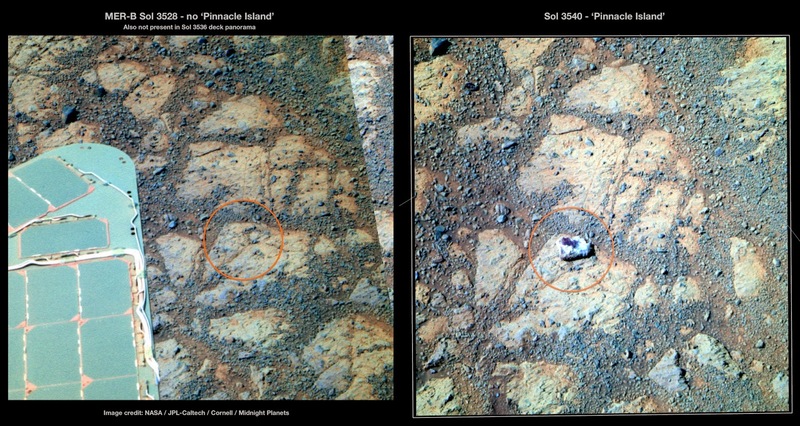 Squyres explained: "We are as we speak situated with the rover's instruments deployed making measurements of this rock. It's like nothing we've ever seen before," he said. "It's very high in sulphur, it's very high in magnesium, it has got twice as much manganese as we've ever seen in anything on Mars. "That's the beauty of this mission ... what I've realised is that we will never be finished. There will always be something tantalizing, something wonderful just beyond our reach that we didn't quite get to - and that's the nature of exploration." While Spirit lost contact with Earth and was later declared "dead" in 2010, Opportunity has now roamed the planet far in excess of what was originally planned as a three-month mission. Nasa said that with its maximum speed of just 0.05mph, as of "Sol 3547" (15 January 2014) Opportunity had covered just over 24 miles (38km).